But could it be responsible for 88% of cancers? Scientists discover shocking link that could finally explain the rapid rise in cancer rates among the healthy. Take this simple home test to find out if you have this bug inside you. Then learn the steps to eradicate it—naturally. See the 3 triggers that cause this hidden cancer-bomb to grow. You’re likely doing at least two of them right now. Discover the 3 foods that wipe out this infection. And can also kill cancer cells. But something you’ve known deep down all along. People who seem perfectly healthy get cancer. All the time. It has nothing to do with smoking. Or excessive drinking. Or even a lack of exercise. The warning signs were there. You just didn’t know it. Irritability, fatigue, fading memory, constipation, bad breath, allergies. But these aren’t stand-alone conditions. And they aren’t just a nuisance. They could be pre-cancer symptoms. Stunning new research suggests that a common, but little-known, bug—one that most doctors write off as a minor annoyance—could be the real culprit behind skyrocketing cancer rates. And could be the reason everyday, healthy people are getting cancer. In one study, the Journal of Infection found it was present in at least 88% of cancer patients. That’s no coincidence. It might even be more. So it doesn’t matter if you’re a man or a woman. You’re at risk no matter what. It’s called candida—a type of yeast that lurks in your intestinal tract. But it could be doing way more damage than you ever thought possible. Pioneering doctor Milton White theorized that cancer is “neither the result of a virus nor the consequence of an inherited gene defect.” His research identified candida as the real cause. Now consider the fact that as many as 70% of Americans are infected with this secret cancer bomb, according to some estimates. Men, women, seniors, children. And most have no idea. In a moment, I’ll show you a simple at-home test to find out if you could be one of them. This is critical because most mainstream doctors never even think to look for candida. Even fewer will know it could be a cancer warning. Of course, if you do find you have an overgrowth, you’ll want to take immediate steps before it launches a full-scale attack on your health. That’s why you need to know about the surprising catalysts that cause this bug to multiply and spread. You’ll discover what those triggers are in a minute. Don’t be shocked when you find out you’re already doing at least two of these things. Most Americans are. Which could finally explain why cancer rates have skyrocketed in recent years. And—most important—you’ll find out about the three safe and natural solutions that not only eradicate candida, but also destroy cancer cells as shown in human and in vitro studies. Easily and effectively. So you’re fighting the battle on both fronts. Because if you think simply taking a probiotic is all you need to do, you’ll never get rid of it for good. These bugs attach themselves to normal healthy tissue in the body. Then, using their tentacles, they drill into your cells and suffocate them of life-giving oxygen. Next, they start wrecking the DNA of these cells. DNA damage can turn formerly healthy cells into cancer. They then begin spewing up to 79 different poisons into the bloodstream, including mycotoxins which, according to a review found in the British Medical Bulletin, can cause cancer. Candida also produces ethanol. This compound destroys the enzymes cells need for energy. When that happens, your cells can’t get oxygen. It’s the perfect storm! Many cancers thrive in a low energy, low oxygen environment. And if that’s not bad enough, research confirms that this fungus causes major inflammation. And chronic inflammation creates free radicals that lead to diseases…especially cancer. 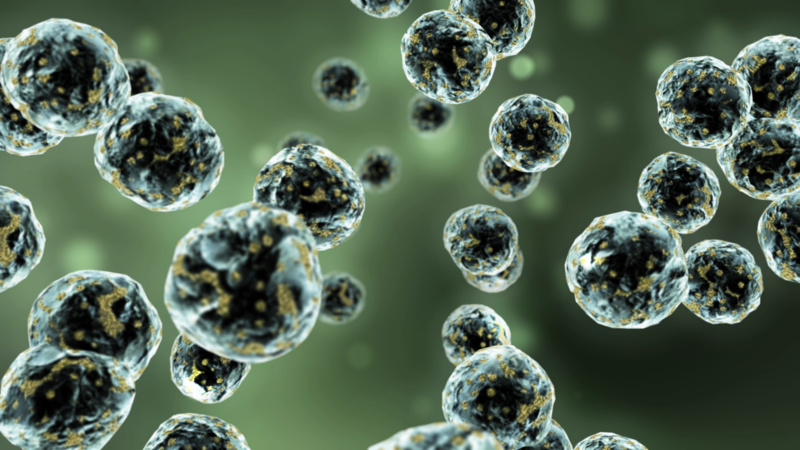 Under such conditions, cancer cells replicate endlessly. This process can go on, undetected for years, getting worse and worse. In fact, chemotherapy is known to cause it. Without a doubt, this may be the #1 health crisis facing Americans today. It doesn’t matter if you’re a man or woman, old or young. And that is why I’ve put together this video. Because it is possible to stop this fungus dead in its tracks—naturally and safely. Hello. My name is Angela Salerno. I’m the executive director of The Institute for Natural Healing. We are an alliance of researchers, doctors, and health-seeking people like you. We search out the world’s top doctors and scientists—mavericks who venture outside the mainstream medical system to find real cures. Then we bring these breakthroughs to people who need them. But I can honestly say, I’m not sure I’ve ever seen anything this alarming in my career. Again, as many as 70% of Americans already have candida living inside them! Now remember, an infestation doesn’t turn into cancer right away. That’s what makes it so important to know if you have it. And what to do. And that’s what makes it so absurd that mainstream doctors continue to miss this critical red flag. It’s sad but true. They’ve been trained to treat symptoms—not go after the real cause. But don’t worry. In a minute, you’ll discover a way to find out if you’re at risk. And what to do about it if you are. Let’s look at a case history that sheds light on candida… And why so many experts are finally saying it is a leading cause of cancer. Author, radio host, and health retailer Mark A. Kaufman tells of a woman, Mary, who called into his show. Mary’s daughter was just three-years-old when she was diagnosed with leukemia. Thankfully her doctor didn’t give her sickening chemo or radiation. Instead, he treated her with his own anti-fungal treatment. And it worked. The little girl survived and thrived. Soon after, Mary’s friend Julie discovered she had bone cancer. Of course Mary urged her to check for candida and try this alternative treatment. But Julie knew she couldn’t ask her cancer doctor for it. He’d think she was crazy. Most oncologists would never take it seriously, despite the evidence. It’s easy and inexpensive to eradicate this fungus. You can do it yourself, and at home. By contrast, cancer doctors have been trained to prescribe conventional treatments that cost $10,000, $15,000, and even $25,000 a month. In fact, oncologists, unlike other doctors, are permitted to act as pharmacists, buying the cancer drugs at wholesale and selling them to their patients at retail. A cancer doctor actually makes more money selling chemo drugs than providing physician services. A full cancer treatment over two or three years can run $200,000 to $300,000. The oncologist, the radiologist, and the cancer clinic at the hospital all count on this money. Meanwhile, there aren’t any profits in candida treatments. That’s most likely why it’s shunned. And that’s exactly why Julie lied about her symptoms to get the cheap prescription. She told a different doctor she had a yeast infection. Sure enough, the antifungal started wiping away her cancer. In fact, when she couldn’t get the prescription refilled, the cancer started coming back. But you don’t even need the same prescription. Which is even better news since these drugs have risks like liver damage, heart weakening, and seizures. Instead, you can destroy this fungus naturally from your own home. Think of it this way… Instead of trying to kill cancer cells, kill the cancer making factory. Doctors at Johns Hopkins have reported that antifungals are effective in even late-state prostate cancer cases. A study in the Journal of Clinical Oncology found it shrunk tumors and reduced cancer cell growth by 45% in patients with basal cell carcinoma. Dr. Tullio Simoncini, an oncologist from Rome, identified the link between candida and cancer. 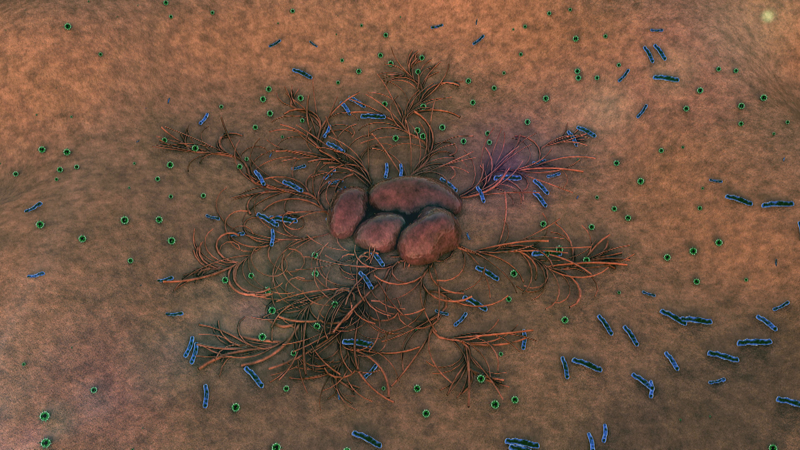 His research suggests the pathogen forms tumors to shield itself from the body’s immune system. And then there’s Dr. Meinolf Karthaus, head of hematology and oncology at a leading German hospital. He watched three different patients with leukemia suddenly go into remission after they received antifungal treatments and only very low dose chemotherapy. Gerald Green, an immunologist from Sussex, England and published author on the subject, concluded that candida is a primary cause of cancer. And we know several prestigious doctors and medical researchers have made the link between candida and cancer. But how did this epidemic get so out of hand? The Real Reason Your Pesky Health Problems Don’t Clear Up and Often Get Worse! The fungus often “hibernates.” In that state, it’s fairly harmless. However, it can be woken up. Under the right circumstances, candida can double in quantity every 30 minutes. And nothing provokes candida more than the standard, American lifestyle. Just three common triggers can activate it. Now I don’t want to scare you, but chances are you are doing at least two of them. The good news? There are simple ways to sidestep these triggers. Visiting your doctor should be a good thing. Right? Every day, 177,000 Americans do it. Unfortunately in some cases, taking his advice could be one of the worst health mistakes you make. I’m talking about going on an antibiotic. Nearly 4 out of 5 Americans are prescribed one each year. Scientists at the University of North Carolina School of Medicine, New York Medical College, and more, confirmed decades ago that taking antibiotics can create an environment for candida to thrive. Remember, candida lives in your intestinal tract along with your good bacteria. And that’s the problem with antibiotics. They kill off the good bacteria in your body, including the friendly ones in your gut. Your gut contains about 800 different types of healthy bacteria. They help you digest your food, drive 80% of your immune system, they produce anti-cancer chemicals, and eliminate candida. So it’s really not surprising that another study found that women who took antibiotics for 500 total days over a 17-year period had twice the risk of breast cancer as those that took none. While you may need antibiotics to clear up a bacterial infection—they weaken or wipe out your good bacteria. Which could leave you defenseless to candida and ultimately, cancer. Consider Cipro, a common antibiotic. A recent in vitro study found that just one course of treatment devastates your gut flora for an entire year. It destroys beneficial bacteria that produce butyrate. This compound protects your colon from inflammation…and tumor development. How were you supposed to know that visiting your doctor and faithfully taking his advice could turn out to be the worst health mistake you could make? I’m not suggesting you completely ignore your doctor and never take another antibiotic. Like I said, sometimes antibiotics really are necessary. We’ve put together a special report that gives you a few simple steps you can take to protect your good bacteria—even if you need antibiotics. It’s called Killing Candida: Stop This Deadly Pathogen Before You Get Cancer. In a moment, I’ll tell you how to get a free copy. Because while taking a quality probiotic is part of any anti-candida treatment plan, it’s just the first step. Plus, there’s a certain way you need to take probiotics that most people don’t know. We even tell you when it really is time to throw in the towel and take the prescription. And you’ll discover the other drugs that make infections worse. All of them are frighteningly common. Also, this free report gives you a checklist of symptoms—14 in all—that can help you identify if you have candida. Most you’ll be surprised are caused by a fungus. Plus, we show you a simple, 15-minute test you can do from home, that can show you if you have candida. 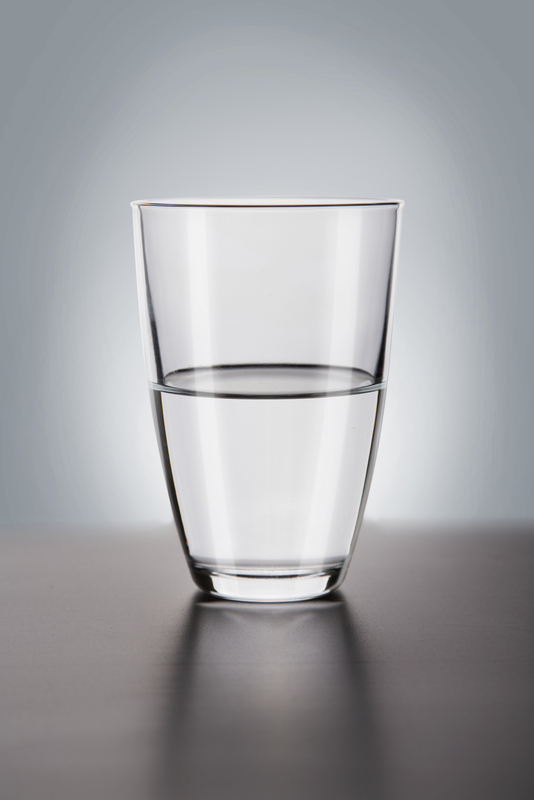 You don’t need anything more than a glass of water just like this one. And while this test is a good first step, if you find you do have it (and an estimated 2 out of 3 people do), you’ll want to get the definitive test from your doctor. We tell you what that is. Finally—and most important of all—we tell you how to eradicate this infection with a natural protocol that you can do at home at low cost—something your doctors will likely NOT know how to do without resorting to harmful drugs. Candida loves certain foods. You may already know that. Things like candy, ice cream, cake, pie, Frappuccinos, sweet iced tea, syrup, cookies—anything loaded with sugar. And that also includes carb-heavy foods like bread that convert to sugar. In a moment, I’ll tell you about some surprising foods you wouldn’t connect with this fungal infection. But for now, just know that eating food with sugar is like injecting little candida bugs with steroids that turn them into raging monsters in your body. And that’s not the only problem with it. Sugar fuels cancer cells. The sugar feeds the candida, the candida promotes cancer, the cancer eats the sugar…and multiplies. It’s a vicious cycle that can quickly grow out of hand. But for some reason, mainstream doctors completely ignore this. That’s like pouring gasoline onto an already blazing inferno! What do they not tell you about? The three simple foods you probably already have in your kitchen (and are easy to add to any meal) that not only kill candida, but also have potent cancer-fighting properties. So you’re fighting the battle on both fronts. The first food is a spice. An in vitro study suggested that an extract of it is just as effective against candida as pharmaceutical drugs. (Without the potential side effects like nausea, itching, hair loss, and seizures.) And this same compound killed almost 100% of in vitro prostate cancer cells in just 96 hours in another study. 100%! The next food is a common vegetable. When researchers tested an extract, it started killing candida in just one hour…even a super-resistant strain of it. This vegetable extract also causes the death of cancer cells. It helps to lower inflammation (which, remember, causes cancer). And instead of killing cancerous cells directly, it sends signals to your immune system to turn on its natural cancer-fighting weapons. With no side effects! The third and final food is a fruit oil. It is just as effective as yeast infection drug fluconazole for treating candida. It’s antifungal and contains fatty acids like lauric acid. These acids attack the cell wall of the fungus. This causes the cell wall to disintegrate. Not only that, an in vitro study published in Cancer Research showed that this same acid destroyed 90% of colon cancer cells in only 48 hours. Again, your doctor won’t tell you about them. The Mayo Clinic would rather you eat ice cream! But you’ll find out all about them (and more) in your copy of Killing Candida. In a moment, you’ll see how to get it for free. Because while most candida cleanses focus on all the things you shouldn’t eat, we also tell you about foods you’ll actually enjoy that you should eat more of. But remember what I said earlier, there are still other foods—ones that you might think are good for you—that are like candy to candida. Those foods include honey, peanut oil, and hard cheese. And one other one that will really shock you. We give you some delicious alternatives. Now, I want to make a very important point. Most people don’t like changing their diets. But you may not have to change what you eat as much as you think. It’s really a matter of replacing a few disease-causing foods with healthy ones in the same categories. When you start phasing out some of these foods, if you try it on your own, you’re actually going to feel pretty awful. You see, these fungal pathogens excrete toxins in your system when they die. The result? Fevers and chills. Skin rashes and hives. Brain fog. Flu-like symptoms. It’s the reason so many people try and fail with this kind of eating plan. Who can blame them? Thankfully there are three simple measures you can take to neutralize those toxins—so you don’t have to feel awful. That way you can rid yourself of candida and get on with your life…feeling better than you have in years. 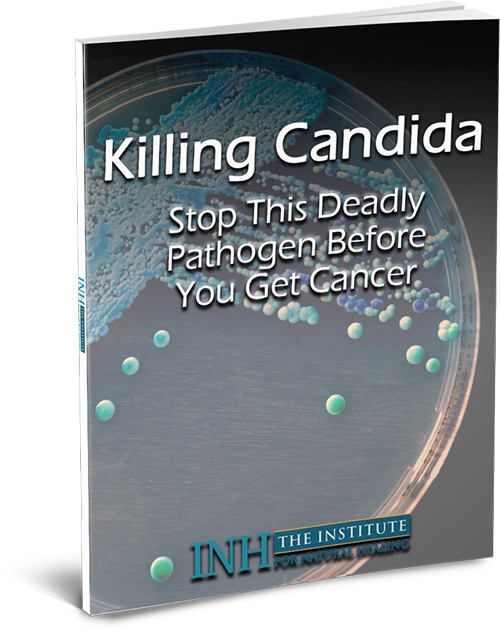 We’ll tell you more about it in Killing Candida: Stop This Deadly Pathogen Before You Get Cancer. In a moment, I’ll show you how to claim your free copy. Most people don’t know it, but stress can be downright deadly. Chronic stress triples your chances of dying before your time. And it raises your risk of many of the deadliest health conditions. Including a candida infection, as confirmed in an animal study by the Clinical and Diagnostic Laboratory Immunology Journal. First, stress releases the hormone cortisol, which raises your blood sugar levels. As we’ve already seen, candida feasts on sugar (as does cancer). 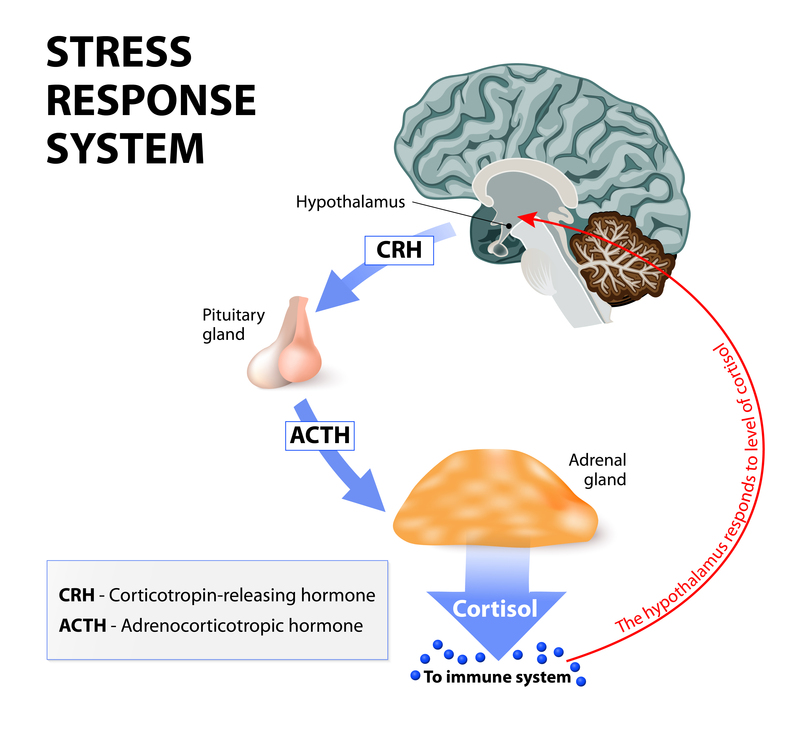 Second, chronic stress taxes the adrenal glands. Weak adrenals equal a weak immune system. That leaves you wide open to a systemic candida infection. So what to do? After all, it’s all but impossible to eliminate stress from your life. Of course you know that you should take it easier. You should pray or meditate. You should take that yoga class. And we strongly encourage that you do just that. But we’re also realistic. And we realize you might not have the time. Plus, habits are hard to change. We get that. One is a type of beverage. Research shows that a unique compound in this beverage can significantly reduce anxiety. The effect has been compared to a state of prayer or meditation. (I meant it when I said we’d give you real shortcuts.) Another animal study suggests it reduces cortisol levels. And it not only fights stress, it also terminates candida, demonstrated in an in vitro study published by the Canadian Journal of Microbiology. But that’s still not all. This super-drink cuts off the blood supply to cancer cells so that they stop growing and multiplying. In other words, this powerful beverage can protect you from cancer caused by this fungus every step of the way. It combats stress. Kills candida. AND fights cancer. And if that’s not enough, this plant is also an effective weapon against cancer cells. Okay, you now know the three main triggers for candida, and you’ll learn to both detect and eradicate it, when you claim your free bonus report. It reveals a full treatment protocol to wipe out this deadly pathogen for good. And to do it completely naturally. The three natural foods that blitzkrieg candida fungus, crumbling its cell walls, suffocating it, and killing it. No side-effects. No prescriptions. Just a safe, affordable, proven way to give yourself a clean bill of health. Taking probiotics is like throwing a bucket of water on a burning building. 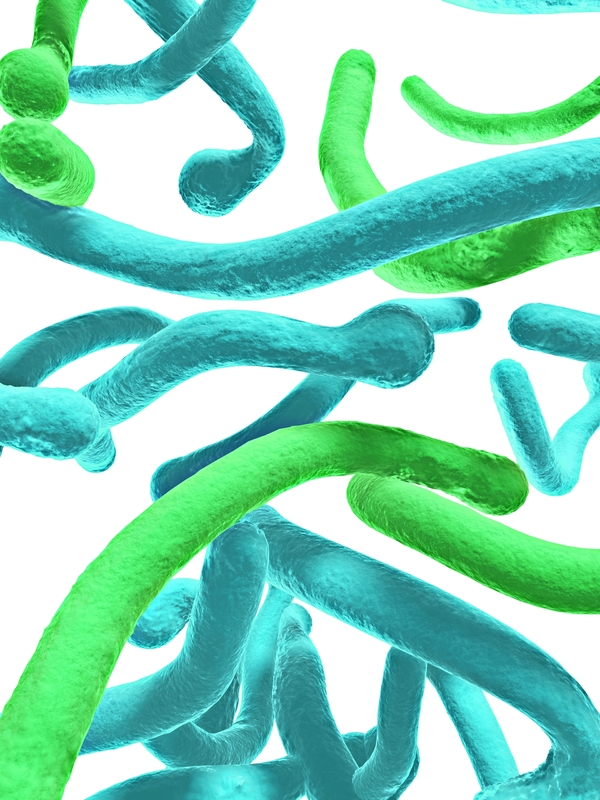 You can’t wipe out an infection with probiotics alone. And you certainly can’t do it taking any old probiotic supplement. You must take a certain powerful strain. Plus, it requires a special twist to set the stage for everything to work so your gut is restored to its natural, healthy state. Don’t worry. It’s not complicated. How to take antibiotics without guilt and without harming the good bacteria in your system. The North American tree that wipes out fruit fungus and is a common folk remedy for candida. Plus, it stops cancer cells from cloning themselves. In trial studies, a standardized extract reduced tumor sizes and increased life spans among some patients. This is a simple three-step program that gives you everything you need to safely wipe out candida. Best of all? You’ll not only be helping to protect yourself from deadly cancers, you may find yourself enjoying better health than you have in years. More energy to work and play. A happier, upbeat mood. Better brain performance. Aching joints gone. Digestion issues gone. Skin cleared up. A more youthful appearance. Independent Healing was founded on the idea that everyone has the right to all options available for their health. Most of the time the mainstream only gives us the conventional method—the pills, the surgeries, the chemo…that often do more harm than good. The truth is, the only way to ensure a long and healthy life is to take charge of your own health. To get to the root causes of disease. To let your body do what God intended…heal itself. So we created Independent Healing to bring the facts directly to our readers. Not just about cancer. You simply won’t hear this kind of information from your doctor. For whatever reasons—lack of time, effort, pressures from within the medical community, Big Pharma, and the FDA—he either doesn’t know about them, or he doesn’t share them with you. And that means you could be losing out on life-changing and life-saving knowledge. Like a very simple blood test developed by a Harvard neurologist. Eliminate those things we know—or highly suspect—cause cancer…like candida. Get an annual accurate screening. Because all the experts agree, cancer is the easiest to beat if it is detected early, before the cancer-cell colony grows too large, and absolutely before it spreads. The problem is that the common screening tests and biopsies normally don’t detect cancer until it’s already had a chance to grow and spread. And costs as little as 1/20th the price of scans and other tests. Yet I doubt 1 in 1,000 doctors has ever heard of it…and even fewer will use it. This screening looks for a certain cancer antigen—the earliest one to appear and that no other test looks at. That’s how it identifies cancer 19 months before any other test, when it’s MUCH easier to kill. In fact, one estimate shows early diagnosis, on average, boosts patient survival rate three-times over. At that point in the progress of the disease you may never even feel the symptoms. Nobody may realize you ever had it! That’s why everybody should get this test. It’s as easy as getting bloodwork. 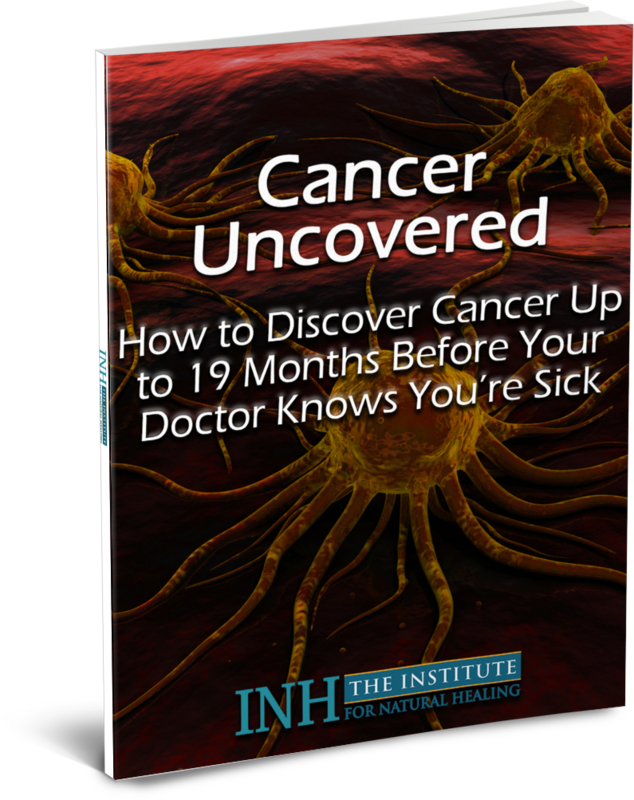 I’ve assembled all the details on this test…its name, what to tell your doctor, and the lab where it’s done…in your FREE bonus report: Cancer Uncovered: How to Discover Cancer Up to 19 Months Before Your Doctor Knows You’re Sick. Let me give you just one example of how this test saved a woman’s life. Angel, a retired teacher, was concerned about cancer. And rightfully so. She had several co-workers, friends, and acquaintances who had recently been diagnosed. And then she watched in horror as they underwent sickening treatments. Sadly, some of them didn’t survive. So when she read about this new test, she understandably wanted it. Her doctor had never heard about it. But she insisted. And thank God she did. The test came back positive: Angel had very early stage cancer. Because the cancer was detected so early, Angel felt she could treat it herself with natural remedies that boost the body’s own ability to kill cancer cells (and just ahead, you’ll discover natural remedies similar to what she used). Angel hoped to get the test numbers down to where it would show zero cancer in three to four months. But to her surprise, she accomplished her goal in less than one month! 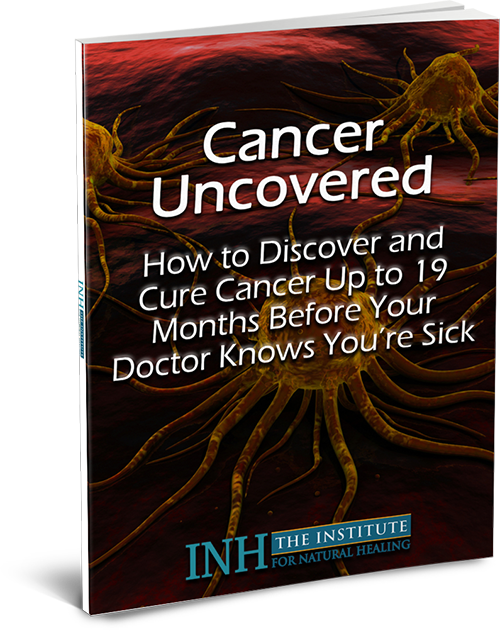 In your free report, Cancer Uncovered: How to Discover Cancer 19 Months Before Your Doctor Knows You’re Sick, you’ll see which steps to take if your test comes back positive. This report is a $24.95 value but it’s yours free with your trial subscription to Independent Healing. Independent Healing dives into a different health topic each month and gives you specific, step-by-step treatment plans to combat so many of the issues we face as we age. Protocols you simply won’t find anywhere else that get to the true, hidden cause of conditions. Not just the symptoms. In May of 2015 we gave readers our proprietary Natural Painkiller Protocol for eliminating—and preventing further—pain. It contains seven natural remedies that put drugs (OTC and prescription) to shame. Like boswellia, which you may know as frankincense. And the McKenzie press, a simple exercise to ease lower back pain. A few months later, in December, we revealed the blood pressure number that could save your life…and how to reach it without pills. Subscribers discovered our unique Fighter Pilot Blood Pressure Cure. It’s a low-tech tool elite pilots use to stay conscious during extreme maneuvers. But you can use it to drop blood pressure by 15 points. 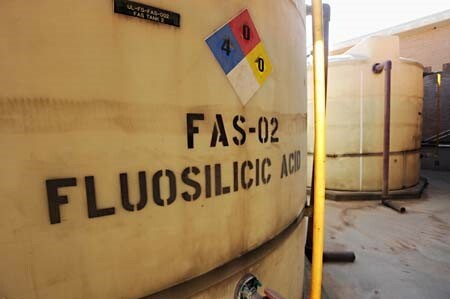 We blew the lid off death by water: how fluoride is slowly killing you. Did you know that the kind of fluoride the government puts in our water supply gets the highest hazard warning there is? Even short exposure could cause death or serious injury. I wouldn’t have believed it myself if I hadn’t seen the research. But it’s no wonder our water is linked to arthritis and thyroid diseases…cancer and kidney failure…even severe memory loss. We gave readers all the details and ways to stay healthy—like drinking reverse osmosis water (we recommended a brand we like). Before that, we revealed the common—and life-threatening—liver problem that affects about one-third of people in Western countries. Whether you drink alcohol or not. Your liver is the hardest working organ in your body. Without it, you’d be defenseless against any threat, including toxins, viruses, bacterial, and fungal infections. But how often do you hear your doctor talk about it? If you’re feeling tired, always sick, overweight…something as simple as naturally boosting your liver can turn your health around fast. You can start by taking milk thistle, along with a few other supplements. A blueprint for better brainpower—and why the foods you eat can help your brain perform better than you could ever imagine. So how much is a one-year subscription? As a reader, you’ll be getting cutting edge, late-breaking research from medical journals and professionals. A one-year subscription to The New England Journal of Medicine is $179 a year. And a subscription to The American Journal of Medicine is $223. That’s just two journals … at a cost of $402. Even though my monthly newsletter, Independent Healing culls research from a variety of these publications plus special physicians, you won’t pay anywhere near that price. Before I say more about that and the health secrets you’ll discover, I want to tell you about one more tool you’ll need in your arsenal against cancer. And again, I’ll include it as a free bonus. This is a special report on how to fight cancer naturally if—heaven forbid—the test you’ve just heard about detects it. Or if you just want to be sure it’s a disease you never have to face. 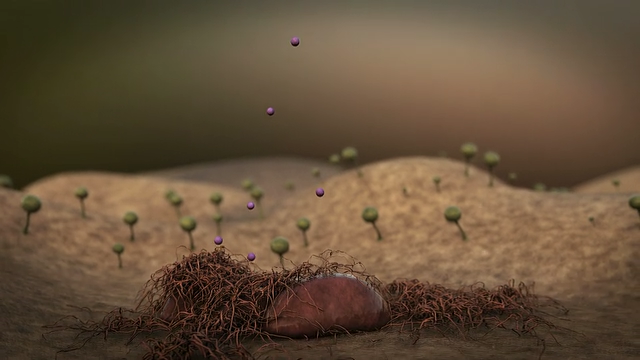 A modified food substance that stops the metastasis of cancer. Backed by research published in the Journal of the National Cancer Institute—that showed it reduced the spread of melanoma by 90%. The Hungarian cancer-fighting secret that causes mutated cells to self-destruct. Shown in studies to reduce cancer deaths by 62%. The hidden compound found in “thrown-away” food skin that’s proven to reduce tumor development 500% in an animal study—and reduce pancreatic cancer cells by 50%. The amazing cancer cure in plain sight that’s verified to reduce tumor development by 50% in late-stage cancer. 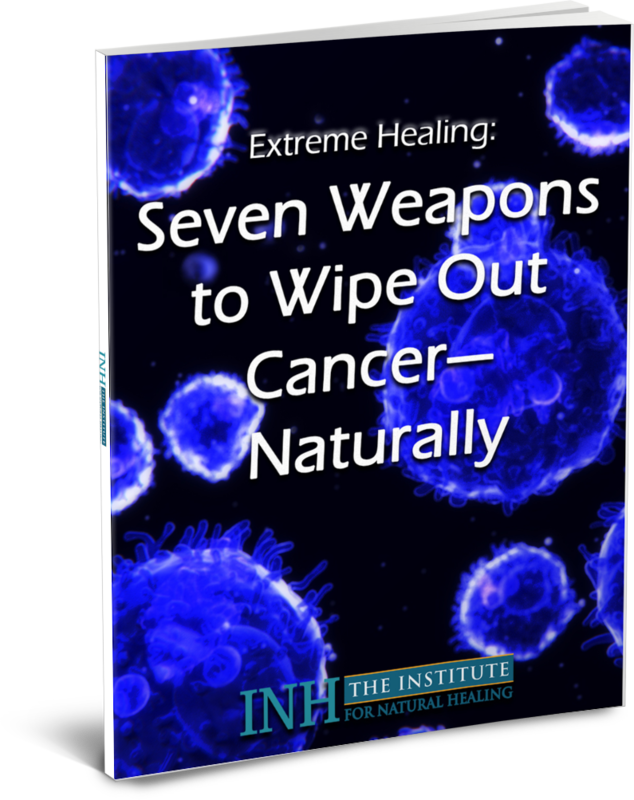 We call our report Extreme Healing: Seven Weapons to Wipe Out Cancer—Naturally. This report normally sells for $24.95. However, today it’s yours free when you accept a risk-free subscription to Independent Healing. Along with Killing Candida and Cancer Uncovered. That’s three total reports worth $75 at no additional charge. Each monthly issue of Independent Healing opens up to you a little-known world of uncensored, proven, natural cures. Cures the medical establishment doesn’t know about or refuses to prescribe because they’re a fraction of the cost of conventional treatments. You’ll have at your fingertips access to treatment options that most doctors will NEVER have heard of. Options that don’t require cutting, anesthesia, invasive treatments, or side-effect riddled drugs that drain your bank account…and your health. Instead you’re getting safe, natural, science-based remedies that truly work. Backed by university research and often overlooked by today’s compromised pharmaceutical and politically-controlled medical system. Readers love what they’re discovering so much that word-of-mouth is part of the reason why our organization of 35,000 is growing fast. More than that, you should know the solutions, remedies, and cures revealed in each issue of Independent Healing as well as our reports are unbiasedly suggested. In other words, we are not beholden to any company or organization to push their medical equipment, drugs, or treatments to you. We are an independent organization. As such, we’re free to point out what works and what doesn’t. Now you’re probably wondering how much a 12-month subscription to Independent Healing will run you. Consider the fact that Randy Moore told us, “Independent Healing’s detailed issues deliver so much value. I’ve never seen anything like it.” And you’ll be surprised to know you can access all of this groundbreaking information for just pennies a day. SPECIAL REPORT: Cancer Uncovered: How to Discover Cancer 19 Months Before Your Doctor Knows You’re Sick. Independent Healing newsletter e-mailed to you every month. Private access to our Independent Healing archive of past issues. This collection of the best natural health and wellness information could add years of happiness to your life. Covering everything from detoxification, anti-aging, hormones, heart, nutrition, weight loss, metabolic syndrome, and more. Private access to our Independent Healing archive of special remedy reports. But when you join us today, you could get so much more than that. The Top 5 Supplements You Should Take No Matter What Ails You. Most of us can’t possibly keep up with all the supplements we should take. It’s so hard to choose and it can get very expensive. But if you take nothing else, take these. You’ll get this report as a free bonus today. AND SEVEN MORE BONUS BEST HEALTH GUIDES. So click the big orange button at the bottom of this page and start your membership. Best of all, you can try without risking a single penny. And without feeling like you need to commit to anything. You can test-drive our research risk-free for a full year. That means you can change your mind any time during that year. If you decide to cancel, that’s ok. You’ll receive a prompt and courteous FULL refund with no questions asked. All issues, reports, and bonus materials you received are yours to keep as my gift to you for trying it out. So there’s no need to feel pressured or commit to anything. Just let your experience with the reports and research decide for you. It’s that simple. Bottom line: I just want to get this vital report, Killing Candida—into your hands right away. It could prevent years of misery for yourself or a loved one. Waiting on lab test results. Sitting endlessly in doctor offices. Costly, sickening drugs. Invasive medical procedures. It could even save someone’s life, maybe your own. In the very least, the solutions found in this report could reverse a pesky health problem that’s plagued you for years. Problems like arthritis issues, skin diseases, digestive misery, depression, and more could finally clear up. Besides that, your issues of Independent Healing provide you a treasure trove of natural solutions for heart disease, diabetes, arthritis, Alzheimer’s, asthma, allergies, eye and ear problems, insomnia, anxiety, and so much more. These treatments are safe…and affordable. Put this information in your hands at once and you could enjoy your best years yet. Maybe you’d love to take up golf, painting, travel, start a business, or something else fun. It can certainly be possible for you when you have the right tools. The right tools are all right here. It’s up to you to take the next step. Simply click the button below to claim your three special reports and the next issue of Independent Healing. Your best health ever is waiting right around the corner.